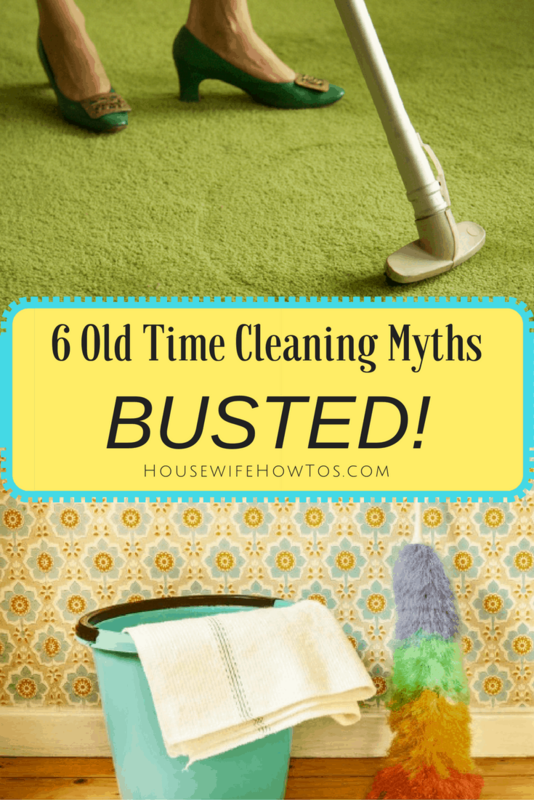 Home » 6 Old Time Cleaning Myths BUSTED! If you fall for these cleaning myths, they’ll leave you with a dirtier home and, in some cases, can cause permanent damage to your belongings. Most of these cleaning myths started with a grain of truth, like the one about using newspapers to clean windows. That’s the case for a lot of household tips handed down by our grandmothers. But times have changed since Grandma’s day, and so have cleaning products, home furnishings, even what newspapers are made of. Don’t make more work for yourself, or put your family and possessions at risk by falling for these cleaning myths. Let’s bust them! Myth 1: Polish wood furniture often to keep it moisturized. False Once upon a time, you couldn’t just pick up a bottle of furniture polish at the grocery store to give your wood furnishings a nice gleam on cleaning day. To get that gleam, you had to regularly apply wax — often beeswax — to wood then buff until it shined. Of course, that was an awful lot of work and usually done only once or twice a year. In between waxings, persnickety homemakers (or their staff) applied linseed or lemon oil to maintain the shine. They also noticed that waxed and oiled wood furnishings didn’t develop cracks or dry out over time. Fast forward to the 1920s when manufacturers created a suspension of carnauba wax in a soap and water base, which they marketed as the first commercial furniture polish. Using this spray every time combined cleaning, polishing, and waxing furniture in one convenient step. Water also removed the shine, so the spray had to be reapplied. That’s where the myth that you should apply polish every time began. But commercial products have changed drastically since then. Modern commercial furniture polishes contain silicone, a substance that does give wood a beautiful shine. It also builds up over time, trapping humidity between layers to the point where it can feel sticky — and sticky furniture attracts dust. Fortunately, our homes are much more tightly sealed than homes of Grandma’s day. We have humidifiers and dehumidifiers, the combination of which means our wood furniture doesn’t typically dry out and crack over time. Waxing furniture? It’s a good arm workout if you’re so inclined, but it’s not necessary. Neither is applying furniture polish every time. 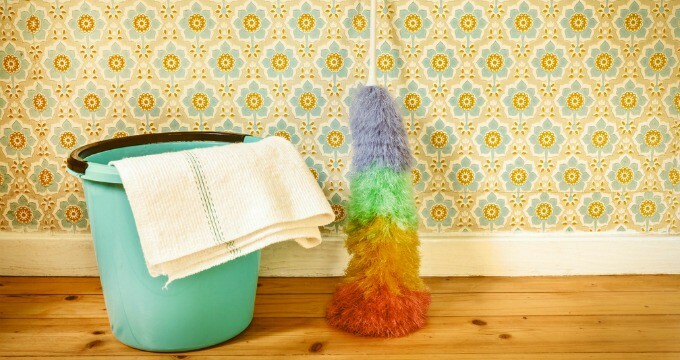 Truth: For most homes, using a damp cloth to dust is the best way to go. Want some extra sparkle for special occasions? 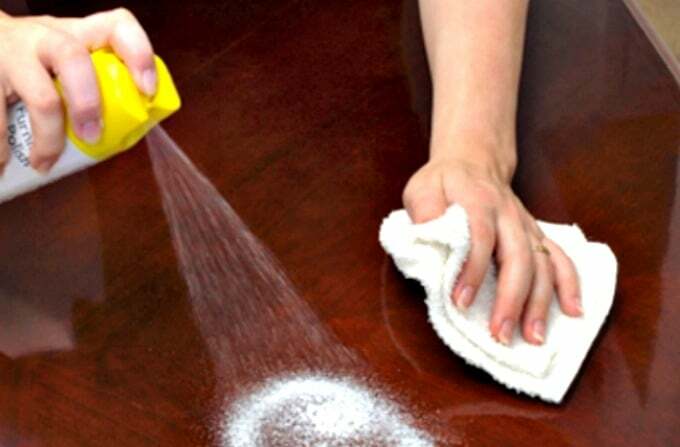 Use a homemade furniture polish and you won’t have to deal with product buildup. 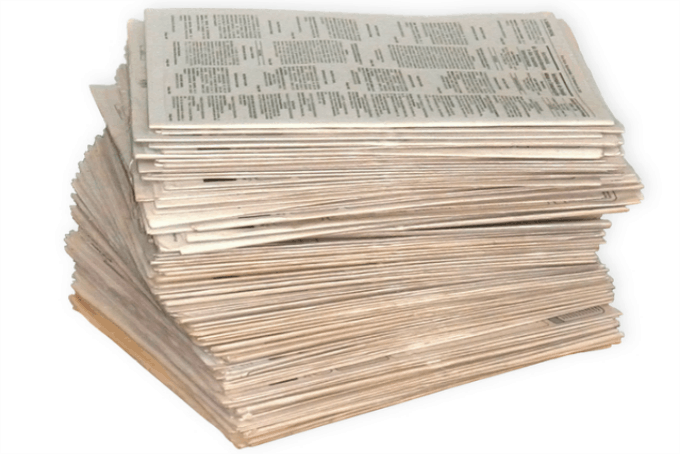 Myth #2: Use newspapers to clean windows or glass. Here’s another that worked back in Grandma’s day but no longer holds true. It’s not due to the dye, as many believe. Over 90% of newspapers no longer use petroleum-based dyes which left smears on glass (and made them unsuitable for use as mulch in the garden). Modern newspapers use soy-based inks, so they don’t streak. Unfortunately, the actual paper it’s printed on is different now. Back in Grandma’s day newsprint was thicker and more substantial, which made it great to use for cleaning windows or wrapping up an order of fish and chips. As the internet has killed newspaper circulation, publishers have saved money by switching to newsprint that is thinner and, in many cases, downright flimsy. Oh, you’ll still read some sites that urge you to try it, but if you have more than a couple of windows to clean you’ll find it’s a complete mess. The newer stuff gets damp faster then tears, leaving behind little bits of paper and wood fibers that make your windows look a mess. Truth: Newspaper is still better than paper towels, but can’t compare with using microfiber cloths. For most window smudges, a lightly dampened microfiber cloth is all you need. For grimy windows, you can’t beat the combination of homemade window cleaner and a microfiber cloth for cost-effectiveness as well as cleaning. 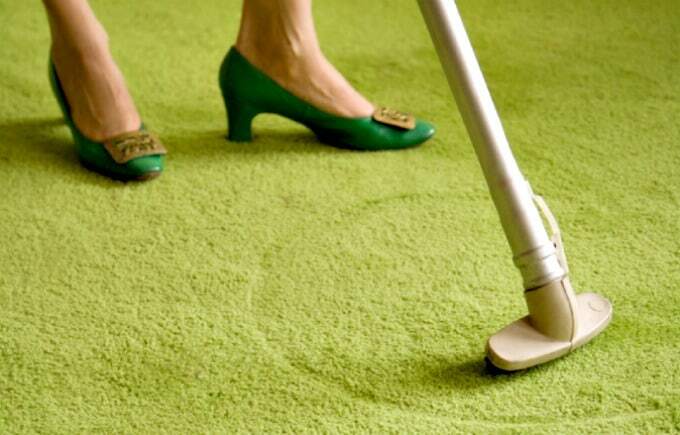 Myth #3: Too much vacuuming hurts your carpet. 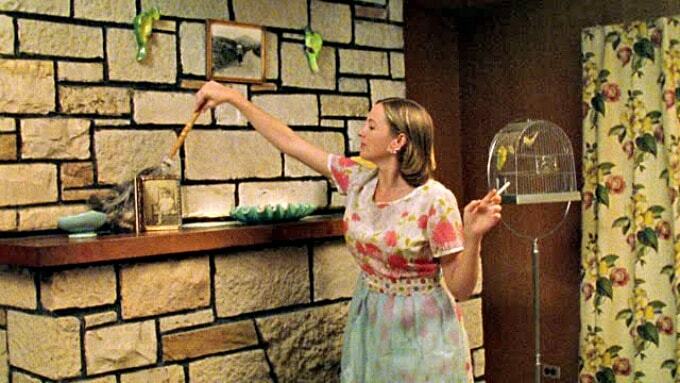 Back in Grandma’s day, most households had canister-style vacuums that relied on powerhead motors and beater bars to clean the carpet. These worked by lifting the carpet slightly, separating it from the underlying pad. With the carpet lifted up, the beater bar agitated it to loosen embedded dirt which the rotating brushes and suction removed. These vacuums were very effective at removing dirt, but they were also hard on the carpet, so there was quite a bit of truth to this advice back then. Vacuum designs have since changed as uprights have taken over the consumer market. These do not use a beater bar but rely on rotating brushes and strong suction to remove dirt, debris, and pet hair from carpeting. Since they’re not lifting the carpet from the padding nearly as much, nor agitating it as harshly as a beater bar does, this advice is no longer accurate. Truth: Dirt and dust are abrasive. If left to accumulate in your carpet they can wear down the padding and destroy the glue used to hold carpet fibers in place. Dirt can also become chemically bonded to your carpet, resulting in a permanent stain. Carpets need to be vacuumed at least once a week to avoid this long-term damage. Set your vacuum to the appropriate height for the carpet, then learn how to vacuum properly, and your carpet will last longer. Myth #4: Vacuum first, dust second. Remember the description of how vacuums worked in Grandma’s day? With the beater bar shaking the carpet, it raised an awful lot of dust in the process. That dust then wafted through the air, eventually settling on the room’s furnishings. So, yes, dusting first was largely a waste of time. Truth: Thanks to redesigned vacuums, it’s better to dust first. This falls in line with the general rule that you should clean a room from left to right, working top to bottom as you go. After shaking curtains and dusting walls, blinds, and furnishings, the dirt and pet hair move downward. After dusting, wait a few minutes for the dust to settle on the floor then vacuum. Vacuuming upholstered furniture then the floor ensures you get the dust out of your room, rather than simply moving it from one surface to the next. Back in Grandma’s day, cleaning house meant using powerful lye soap (caustic soda) and water in the kitchen, and bleach water in the bathroom. Both are powerful disinfectants so when Grandma was done cleaning she didn’t leave germs behind. Of course, we’ve since learned that both substances also carry a number of health and environmental hazards. Many people now opt to use other cleaning products to avoid such risks. Truth: Cleaning, sanitizing, and disinfecting aren’t the same thing. Cleaning removes dirt and grime, usually with soap or detergent and water. It reduces the number of germs on a surface by removing them but doesn’t necessarily remove all of them or kill those left behind. Sanitizing lowers the number of germs on a surface to a level deemed acceptable by public health authorities. 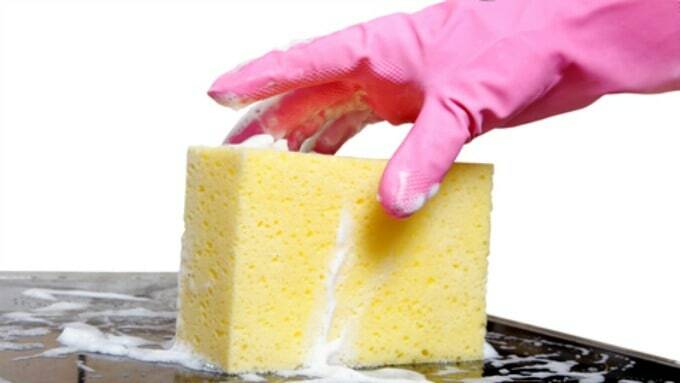 This is usually done by cleaning a surface with a product stronger than soap and water. It does not necessarily kill any germs left behind. Disinfecting can be done without cleaning a surface. It relies on the use of a chemical to kill germs on a surface. Cleaning is necessary to reduce the amount of dust, dirt, and grime in your house. It also makes things look nicer, but it’s not sufficient for all surfaces. Most household cleaning products, including many homemade cleaning mixes, will also sanitize surfaces. To prevent cross-contamination or the spread of infectious bacteria, kitchens and bathrooms should also be disinfected as part of the cleaning process. We can’t blame Grandma for this one, though if you ever saw her scrubbing the kitchen floor on her hands and knees, you might have noticed there were an awful lot of bubbles involved. That’s because fatty-based soaps, like the lye soap Grandma swore by, produce a lot of suds. Modern soaps and detergents create fewer bubbles, and that leads to people using more of them because they think more bubbles means more cleaning power. It doesn’t. Truth: Using too much soap or detergent in the laundry, or while shampooing your carpet (and even your hair), means you’re most likely leaving some behind. That residue can make clothing look dingy. On carpets, it will attract more dirt. 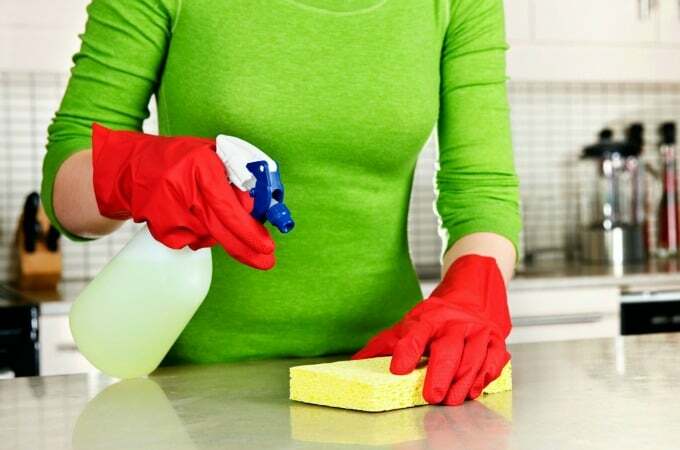 More is also not better when you’re making homemade cleaning products–too much vinegar can corrode metals or other surfaces, while too little reduces the cleaning power. The same goes with hydrogen peroxide: too much can lead to bleaching of materials, and too little defeats its antimicrobial effect. So, whether you’re using a commercial or homemade cleaner, follow the directions carefully and use the exact amounts called for so you’re getting the cleaning power you expect. Want help remembering what to clean when? Sign up here for my free newsletter to get chore reminders, menu plans, and the latest Housewife How-Tos delivered to your inbox weekly. While I had heard of some of these, I wasn’t sure where they came from. Interesting read!